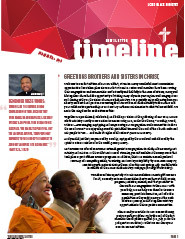 TimeLine is the official quarterly newsletter of LCMS Black Ministry. 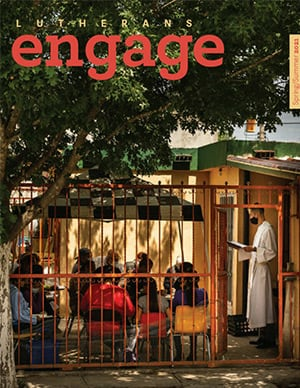 It serves the ministry of the LCMS by advocating for the outreach, nurture and training of districts, congregations, schools and professional church workers engaged in ministry to people of African descent and other ethnic ministries in the Synod. 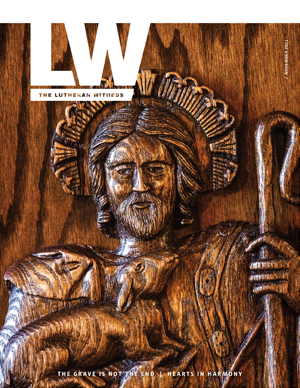 TimeLine regularly reports the progress of local, regional and national work; celebrates and encourages partnerships; and grants incentives to those who embrace witness, mercy and life together in Christ for the Church and the world. We are committed to a message of unwavering optimism in changing times. To make our future quarterly TimeLine e-newsletters a meaningful resource for all, we need you to send us articles about your harvest field, events, programs, activities, mission, and “best practices” to share with our congregations in the LCMS. With your participation, we can help our churches increase awareness, provide information, and offer idea possibilities as they seek to carry out the work of witness, mercy, and life together ministry opportunities in their respective communities. Please send your articles to Rev. Roosevelt Gray, Jr. at roosevelt.gray@lcms.org by the end of the first month in the respective quarter (i.e., July 31 for the third quarter newsletter) so that we can share your news in our next edition. Contact LCMS Black Ministry at 888-THE LCMS (843-5267) or at infocenter@lcms.org to subscribe and to request more information. Many LCMS pastors, deaconesses and lay leaders strongly believe in mission to their home communities around the world. Many return home to share God’s love in Christ and to enhance or begin ministry work in these places. The TimeLine newsletter shares details about the LCMS Black Ministry Family Convocation, which is scheduled for July 12-16, 2017, at the Sheraton Birmingham Hotel, Birmingham, Ala. The fourth quarter 2016 edition of Black Ministry’s TimeLine newsletter highlights how the Gospel is shared around the world from generation to generation. The third quarter 2016 edition of Black Ministry’s TimeLine newsletter includes individuals’ stories that exemplify Jesus at the center of their lives and how God is glorified as a result. To request earlier issues of TimeLine, contact LCMS Black Ministry by calling 888-THE LCMS (843-5267).